Time for another awesome hop! This hop is brought to you by Inspired Kathy from I'm a Reader Not a Writer . Thank you! 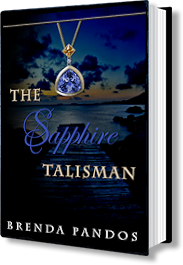 I'm donating a signed copy of The Sapphire Talisman, Book #2 of the Talisman Series, with matching bookmark. To be normal, sixteen-year-old Julia Parker would shed her empathic gift in a second. Life has been difficult since her mother's mysterious disappearance ten years earlier - an event she witnessed, but can't remember. Julia's situation becomes more complicated after a near death experience from a blood thirsty stalker. As high school students go missing it is clear there is a connection to her own experience--past and present. Someone has to stop the madness and a chance encounter with a creepy psychic foretells that only Julia is the key to stopping the madness, but it may require the life of the one she loves. It's the sequel to The Emerald Talisman (Book 1) and if you haven't read it yet, it's only $0.99 on Kindle /Nook right now! 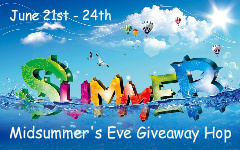 I only require you be a GFC follower of my blog to enter. Thanks for offering the giveaway. Thank you so much for the wonderful opportunity! Thanks for joining the hop & giving a lucky winner the chance to fall into the Talisman series! WOW! thank you so very much for this amazing chance to win! 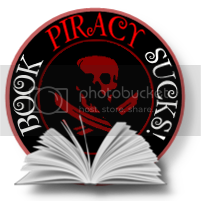 I would LOVE to read your book! THANK YOU THANK YOU! Thank you so much what a great giveaway! I am already a follower ;) I love your work! I have read both books in this series I own 2 copies of each and waiting on book #3 The Onyx! I am not entering your giveaway, I just wanted to stop and give my support. Why can't I find in on I tunes ( iBooks )??? ?